A loan of $3,000 helped a member to buy a scanning machine so that she reduces the costs of traveling to and from town to her clients. Once you find something you love to do, be the best at doing it. 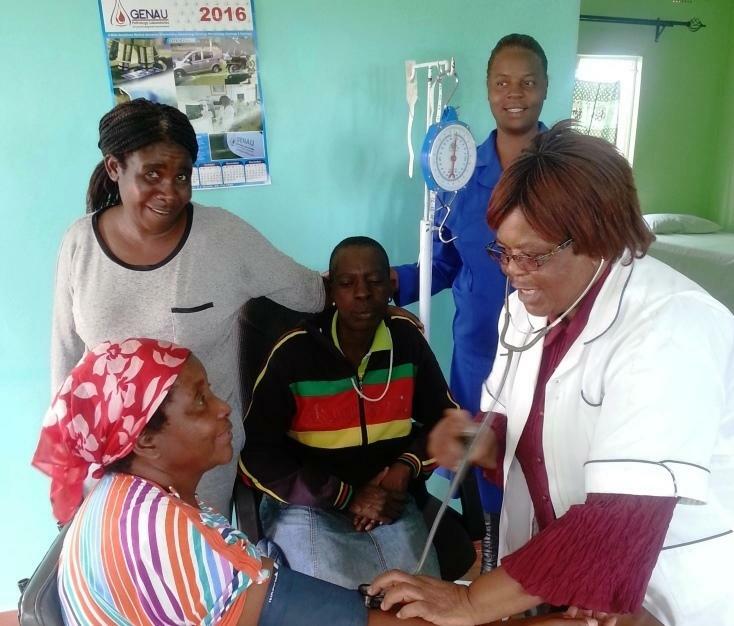 Annacleta used to work in the government of Zimbabwe as a trained nurse. She enjoyed her work in the government for 25 years which intensified her clinical experience. Tragedy started when she was involved in an accident rushing to save a life. The ambulance she was using was involved in an accident and her spinal cord was affected. She had backaches for 2 years sitting home and could not be employed again. Annacleta had to find a way to survive and feed her family since her husband was retired. She decided to open a clinic in 2011 because she had the passion of her job. She started renting a cottage in Mbare, a high density suburb in Harare as a pilot project. The business promised to be good because it had become a rescue to the community, but she had financial challenges. Seeing the passion she had, her son helped by giving her some finances to continue operating. Fortunately, she attended to a patient, Stella, whom she told about the lack of capital despite the potential of business growth. Stella smiled because she was into baking and also required additional capital to grow the business. They teamed with three more friends and joined Thrive Microfinance for financial advice and assistance. They named their group Kupakwashe, a Shona word which means God Given. They received their first loans and utilized them well to grow their businesses. Annacleta managed to expand and relocate to a developing area where there is more need for health assistance. She is using a rented house for her business and is offering clinical and maternal services. She named the clinic Shamwari which is "the best friend" in vernacular. This name was derived from the services she is offering to the community. She has been the best friend of every household by providing medication, counseling, health-checks and other clinical services. The group has applied for a seventh loan of $3,000 USD. With her portion of the loan, she wants to buy a scanning machine so that she can reduce the costs of traveling to and from town to her clients. It has shown to be a necessity since the suburb is still developing and there is need for much health monitoring equipment in a bid to achieve a healthy environment.